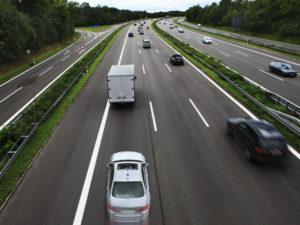 Learner drivers will be able to take driving lessons on motorways in England, Scotland and Wales from Monday 4 June in a move that could save countless lives according to IAM RoadSmart. The change, announced by the Driver & Vehicle Standards Agency (DVSA), is part of the new-style driving test introduced last year, and follows a consultation launched at the end of 2016. Learners will need to be accompanied by an approved driving instructor and driving a car fitted with dual controls. Motorways lessons will be voluntary and it will be up to the driving instructor to decide when the learner driver is competent enough for them. Welcoming the DVSA announcement on the June launch for the change, IAM RoadSmart director of policy and research Neil Greig said: “It has never made sense to us that new drivers on our most important roads learned how to use them by trial and potentially fatal error. The government’s insistence on the use of approved instructors and dual controlled cars is a welcome safeguard that will ensure consistent levels of training and a proper phased introduction to motorway driving skills. Crispin Moger, CEO for Marmalade – which provides car insurance and cars for young drivers – added that the move “will make a huge difference to new drivers’ confidence, as well as making the roads a much safer place for everyone”.